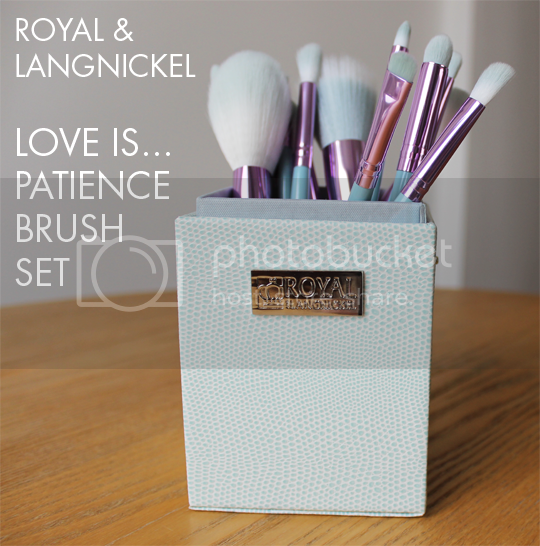 One of my very favourite things that I picked up from IMATS this year is this beautiful little brush set from Royal & Langnickel, the Love Is… Patience Brush Set. 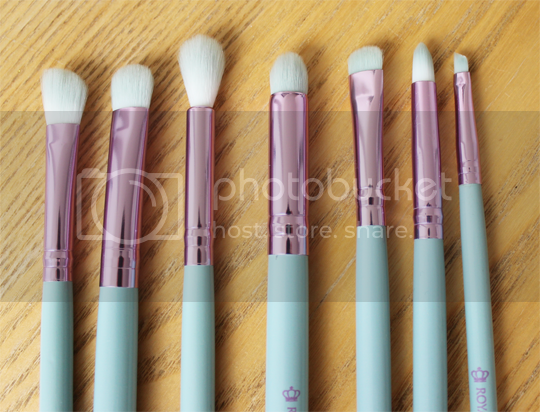 You know, I’ve only just noticed while resizing the photos for this post; the box says 13 Pc brush set but there’s only 12, and 12 listed on the back of the box. I can only assume they’re counting the pretty presentation box as a ‘piece’? Either way, at the bargain price I paid for this (£25), I’m certainly not complaining at a dozen beautiful synthetic brushes. Love Is… Patience is just one part of the ‘Love Is’ range from Royal & Langnickel. Each set is named after a different virtue, with a different pastel colour scheme. It took me a while to choose, but in the end I settled on Patience because I just couldn’t walk away from the baby blue handles and metallic lavender ferrules. Luckily the colour of the bristles holds nicely and comes up like new with each wash. There are a few brushes that I’m getting the most use out of so far. The Contour brush, for its most obvious use – it’s neither too floppy or too densely packed so it picks up and deposits just the right amount of your chosen contour colour and I’ve found it works equally well with both powder and cream products. I’ve been using the Crease brush a lot clean, with no product on it, to blend out the edges of colours or create a more seamless fade between two or more without adding any more eyeshadow. The Mini Flat Smudger is a bit bigger than the brushes I usually use for blending smoky eyeliner, but after getting used to it I’ve decided it works really well and I might actually prefer it as it covers more surface area in one go. The Smudge brush is great for adding a little eyeshadow to the lower lashline without entering panda eye territory. 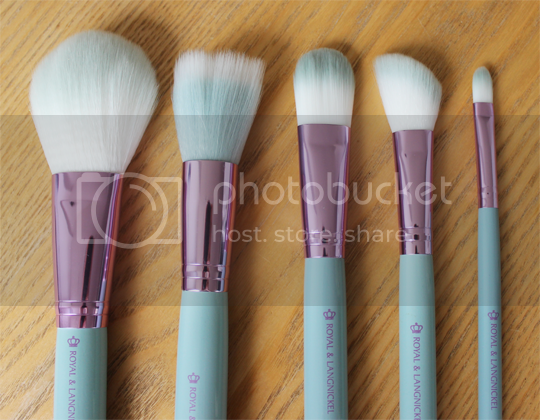 While I have my favourites, the whole set is just gorgeous and I have to say, it’s really awesome to find a decent brush set which doesn’t have a bloody brow/lash comb in it. I must have about half a dozen of those little buggers because they seem to come in every brush set and seriously, who needs that many?! Onto the bad news; I have no idea where you can get this from in the UK. They’re not available on Royal & Langnickel’s UK site, and Amazon (who stock their [R]evolution brushes that I’ve reviewed before) are coming up short, too. I’ve asked the brand on Twitter but haven’t received any response… so the UK availability of the Love Is range remains a mystery. Hopefully they’ll be available here soon, I don’t even know how new (or not) they are. Patience is a virtue, after all. Ok, sorry, that was REALLY bad.